Get 60% off all PhotoCrates, Hurry Up! Get 50% off on wall décor with code WALL50 at checkout. 3 Personalized Ornaments for $30 + FREE Shipping use code: 3FOR30. Get 55% OFF + FREE Shipping on all Canvas Hanging Prints. Use Code: HANGING55. 6 Personalized Ornaments for $50 + FREE Shipping use code: 6FOR50. Get 70% Off Wood Print Grids + free shipping on orders over $50 with code GIFT70 at checkout. Get 65% off PhotoBoards and Collections, 11x14 and smaller + free shipping on orders over $50 with code GIFT65 at checkout. 50% off all Canvas Products + Free shipping over $75 use code: GIVE50. 55% off all Wood Products + Free shipping over $75 use code: GIVE55. 60% off New Arrivals + Free shipping over $75 use code: NEW60. 60% off Ornaments + Free shipping over $75 use code: MERRY60. 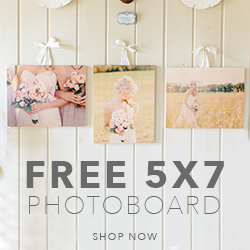 $9.99 5x7 and 6x6 PhotoBoards + free shipping, no limit use code: 5X7AND6X6. Cyber Monday Week 2017 - $39 16x20 Sale: PhotoBoards, Canvas (1.5" only), Hanging Canvas, Shaped PhotoBoards + Free shipping on orders over $50 with code CYBER16X20. Get 60% Off Sitewide + Free shipping on orders over $50 with code GIFT60 at checkout. $99 9 Piece 8x8 Standout Wood Print Grid (Reg. $270). Use Code: 8GRID. PhotoBarn provides custom, handcrafted photo products using YOUR photographs. They take your photos and print directly on wood blocks, boards and burlap. Choose from handcrafted PhotoBlocks, PhotoBoards, Christmas Ornaments, Framed Burlap, Canvas Prints, Wood Prints or Gift Certificates. A truly unique piece of art! Wooden Photo Prints: customer prints their photos directly onto wooden boards and blocks. The natural tones and grain of the wood combine with the image to create a truly unique and beautiful effect. They offer a variety of wooden photo products including boards, blocks, ornaments, and puzzles. Wooden Photo Ornaments: wooden photo ornaments are incredibly popular. They offer 9 different shapes that can be customized with a photo and pattern of the user's choice. Each ornament is printed directly on coated, high-quality wood and finished with a ribbon or twine hanging option. Canvas Prints: photobarn offer two types of canvas prints: hand wrapped gallery wraps and framed canvas prints. Each gallery wrapped is printed on high-quality canvas and hand stretched over a solid wood frame creating a gorgeous piece of wall art. Each canvas print is printed using the highest quality materials and processes. 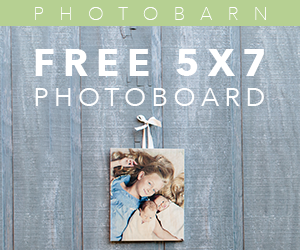 Burlap Prints: photobarn are one of the only print companies to offer burlap prints. They offer gallery wrapped burlap and framed burlap prints. The texture and off-white color of the burlap give photos an unparalleled vintage effect. Found a coupon for PhotoBarn?